The current trend of 3D printed prosthetic hands have one rather large drawback: you can’t use them if you already have two hands. This might seem like a glib objection, but one of last week’s Hackaday Prize posts pointed this out rather well – sometimes a meat machine needs mechanical assistance. BEOWULF, [Chad Paik]’s entry for the Hackaday Prize, is the answer to this problem. It’s a mechanical exoskeleton for grip enhancement, stroke rehabilitation, and anyone else that doesn’t have the strength they need to get through the day. This project solves the problem of weak arm strength through – you guessed it – 3D-printed parts, a linear actuator on the forearm, and a few force sensors on the fingertips. Control is obtained through a Thalmic Labs Myo, but the team behind the BEOWULF is currently working on a custom muscle activity sensor that is more compact and isn’t beholden to VC investors. You can check out a video of this exoskeleton below. Ever wish you could guess more precisely? Or maybe just make your guesses look confusingly legitimate? Guesstimate could help. It uses Monte Carlo simulations to add some legitimacy to the ranges given to it. For example, if you say the cost of lumber for your next project could be between 2 and 8 dollars a piece, you don’t typically mean that it’s equally likely to be any of those numbers. Most people mean that the boards are most likely to be around 3-5 dollars and everything lower or higher is less probable. Using different shaped distributions, Guesstimate can help include this discrepancy of thought into your pseudo-calculations. It’s a neat bit of code with a nice interface. There is a commercial side to the project for those who want to collaborate openly or pay someone to host it privately. It has a few neat example models for those interested. Does anyone use anything like this in their daily lives? Is there another similar project out there? This kind of thing is pretty cool! 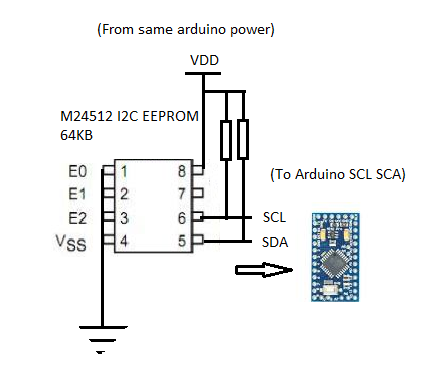 What Does ESD Do To My Circuit and How Can I Protect Against It? [Kevin Darrah] is risking the nerves on his index finger to learn about ESD protection. Armed with a white pair of socks, a microfiber couch, and a nylon carpet, like a wizard from a book he summons electricity from his very hands (after a shuffle around the house). His energy focused on a sacrificial 2N7000 small signal MOSFET. So what happens to a circuit when you shock it? Does it instantly die in a dramatic movie fashion: smoke billowing towards the roof, sirens in the distance? [Kevin] set up a simple circuit to show the truth. It’s got a button, a MOSFET, an LED, and some vitamins. When you press the button the light turns off. He shuffles a bit, and with a mini thunderclap, electrocutes the MOSFET. After the discharge the MOSFET doesn’t turn the light off all the way. A shocking development. So how does one protect against these dark energies out to destroy a circuit. Energies that can seemingly be summoned by anyone with a Walmart gift card? How does someone clamp down on this evil? [Kevin] shows us how two diodes and a resistor can be used to shunt the high voltage from the electrostatic discharge away from the sensitive components. He also experimentally verifies and elucidates on the purpose of each. The resistor does nothing by itself, it’s there to protect the diodes. The diodes are there to protect the MOSFET. In the end he had a circuit that could withstand the most vigorous shuffling, cotton socks against nylon carpeting, across his floor. It could withstand the mighty electric charge that only a grown man jumping on his couch can summon. Powerful magics indeed. Video after the break. We recently ran a post about engineers being worse, better, or the same than they “used to be” and it got me thinking. Of course “used to be” is in the eyes of the beholders. To me, that’s the 1950s and 1960s. To some of you, my generation is the “used to be” generation. To some of you, I’m past even that. I’ve often said, there are two things that are simple: something really simple, and something really complex. For example, when a caveman grabbed a log floating down the river and hitched a ride a few miles downstream that was pretty simple. Today, you can go on a well-equipped boat, stab your finger at a map, click go, and the boat will do almost all the work. However, get onboard a sailing vessel from 1850 and you better know what you are doing. What’s more is, some sailors were better than others. Were yesterday’s engineers better than today? That’s like asking who is the “best” driver. It depends a lot on what “best” means? Safer? Faster? Most efficient? I would suggest that yesterday’s engineers were better at doing yesterday’s jobs. I own several slide rules and I can use them, but I bet my mentor who finished college in the 1940s was faster. I don’t need to be faster. On the other hand, he might have some trouble doing a good Internet search. But here’s the problem. Doing basic math is like the caveman on the log (and yes, that begs for a slide rule joke). Asking Wolfram Alpha to solve your set of simultaneous equations is like the modern computer-controlled ship with GPS. You can bet that the sailing master of a barque in 1850 knew a lot more about sailing and winds and ship construction than the average guy on a modern ship. He had to. That gave him extra reasoning tools when faced with a problem. By the same token, using a slide rule is very helpful but–paradoxically–you have to know a little math to be able to use it. In particular, you had to have a rough idea of the magnitude of the answer to get the right answer. If you couldn’t get that concept or do the simple estimate in your head, the slide rule was useless and you probably dropped out of engineering school. Today, you may or may not have that kind of math smarts, and it doesn’t matter. I’ve know graybeards that keep up with the modern technology. I’ve also known plenty who are stuck in the past, talking about how horrible transistors, or ICs, or software is and how it has ruined everything. Of course, they haven’t. As Gerrit pointed out, we tend to remember the brilliant engineers and projects and forget the bad ones (unless they are really bad). Even in “the golden age” there were good engineers and bad. So how can you maximize your chances of being one of the good ones when this turns into some kid’s golden age? Two things, I think. Never stop learning the new technology. The hot-shot engineer with the slide rule wouldn’t function as well in today’s world unless he was willing to learn about the new things. But also, learn the fundamentals. You don’t have to know how an engine works to drive a car. But all the race car drivers do know. Having tools to do circuit analysis or solve thorny math equations is a great time saver. But you ought to know how to do it without those tools. The insights you’ll gain will give you more tools at your disposal when faced with a problem. Engineering is a series of abstractions. Always try to drive down the abstraction layers. Know how to program? How does a CPU work at the logic gate level? Know how that works? Then how do the transistors form those gates? When you understand that, dig into why the transistors work at all. Sure, you probably aren’t going to build a transistor from raw materials. But you’ll gain new insights and those insights will help you solve future problems. Besides, if there’s ever a zombie apocalypse, it might be good to know how to use a slide rule or build a transistor. Hacker’s Wishlist: What Must-Have Components Let You Build Anything? We’re putting in a parts order at the end of the week, yet we don’t have a specific project in mind. Trying to wrap your noggin’ around a bill of materials to build anything is tough, but that’s the gist of stocking components for a hackathon. So we put it to you: what components can’t you live without when you roll your sleeves up for some good old fashioned hardware hacking? What Can You Build in Two Days? This parts order is for the badge hacking at this year’s SuperCon. What we saw last year was amazing considering the parts we had available. What you see above is the back of the conference badge with a lot of caps and diodes added to it. It’s a voltage multiplier that [Sprite_TM] built onto his badge to get the 9V input up to a 1000V output. So diodes and caps, check. They’ll be on the order. But we want to know what you would add to a parts order where anything is possible? Let us know in the comments below. Part of the fun last year was starting from a badge that had no circuitry built onto it at all. [Brian Benchoff] joked in his coverage of the hacking that this year’s badge would just be a piece of copper clad FR4 — a great idea and challenge accepted. In addition to the normal badge, for those willing to test their mettle, we want you to go for Beast Mode. We’ll have copper clad (single and double-sided) and protoboard on hand. We’re looking for Manhattan style, dead bug, and any other elegant, interesting, or hacky method of rapid prototyping. Bring along your own pre-spun or home-etched boards — if they’re not already populated you can do that in the badge hacking area. If you want to learn the awesome X-Acto knife method of carving up copper clad, Zach Fredin will be helping out in the badge hacking area. You’ll also find Voja Antonic, Paul Stoffregen, and others hanging out there too. But What About the Badge? Yes, there is a hardware badge and it’s a doozy this year. Voja Antonic designed it and published a great explanation last week. It’s based around a PIC18LF25K50 and features an LED Matrix and user inputs. This will be a lot of fun for the firmware hackers, but why not get in on the hardware hacking action while you’re at it? The back of the badge has a 9-bin breakout header (2x 3V, 2x Gnd, 5x GPIO). This pin header is 0.1″ pitch so you can design in advance for any add-on circuits you might want to build. We’ll also have connectors on hand to use in your hacks. Last year Paul Stoffregen’s Teensy audio workshop was hugely popular and one of the most interesting badge hacks added a Teensy, audio board, and LCD to the mix to create a spectrum analyzer with waterfall display. I’m sure we’ll see some hacks that reach that level this year. But it’s a welcoming and jovial environment; even if you never blinked an LED there will be throngs of people waiting to cheer your accomplishment in the name of getting everyone in the world excited about hardware. Seriously Though, What Components Should We Order? Tools are going to be no problem this year since we have the Supplyframe Design Lab at our disposal. But we really are putting in a parts order this week and need your advice. We’ll have the usual suspects: pin headers, shift registers, voltage regulators, level converters, 7400 series logic and 555 timers, extra battery holders, passives, etc. Even if you’re not in on the hacking, let us know what you can’t live without. What’s your analog hacking wishlist? What type of sensor breakouts would you like to see people playing with? Sound off in the comments below.